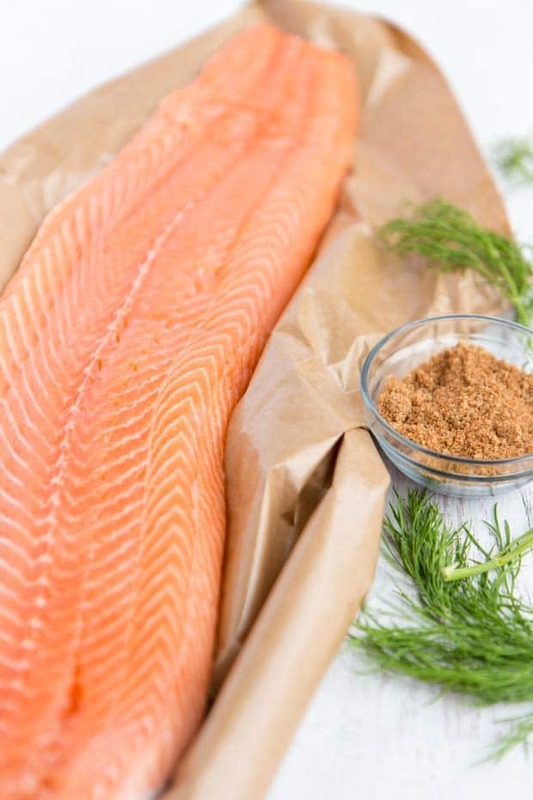 This simple, delicious baked salmon with brown sugar recipe is meal you'll want to eat again and again. 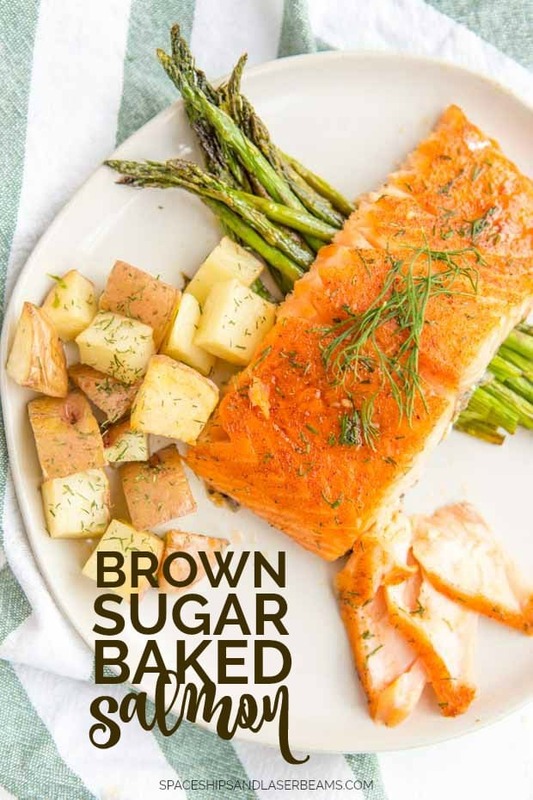 This simple, delicious baked salmon with brown sugar recipe is meal you’ll want to eat again and again. I’m happy to bring you this recipe and memories from our trip as part of my partnership with Princess Cruises! We had a great time on the ship, during the excursion activities and all the food was so amazing. The food was so incredible, I’ve actually been craving some of the meals we had on the trip. I decided to do a little experimenting in the kitchen to try and satisfy my cravings. The baked salmon recipe I’m sharing with you today is the result. 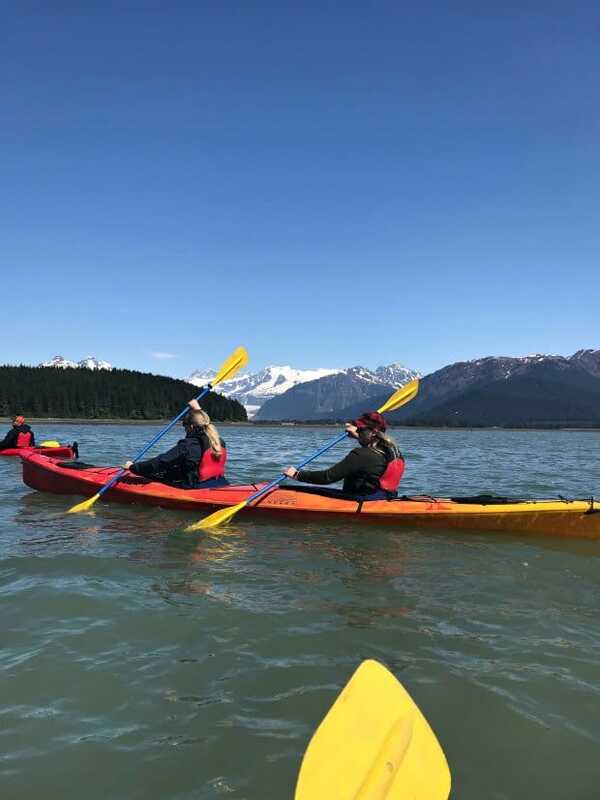 First, let me tell you about another part of the trip that I enjoyed: our Glacier View Sea Kayaking excursion in Juneau. Despite growing up surrounded by water, I haven’t had much experience kayaking previously. In fact, my trip to Kauai two years again was my first real experience going on a kayak expedition. It didn’t go well. Let’s just say I spent some of the trip floating backwards into the riverbank. But after getting over my initial nerves, I had an absolute blast. When I texted Mike from Kauai to tell him what a great time I had kayaking, his response was to purchase a kayak so we could start going on family adventures when I got home. At first, I wasn’t sure how I felt about this becoming a regular thing. I’m happy to report it’s become a favorite activity for our family that all three of us enjoy. 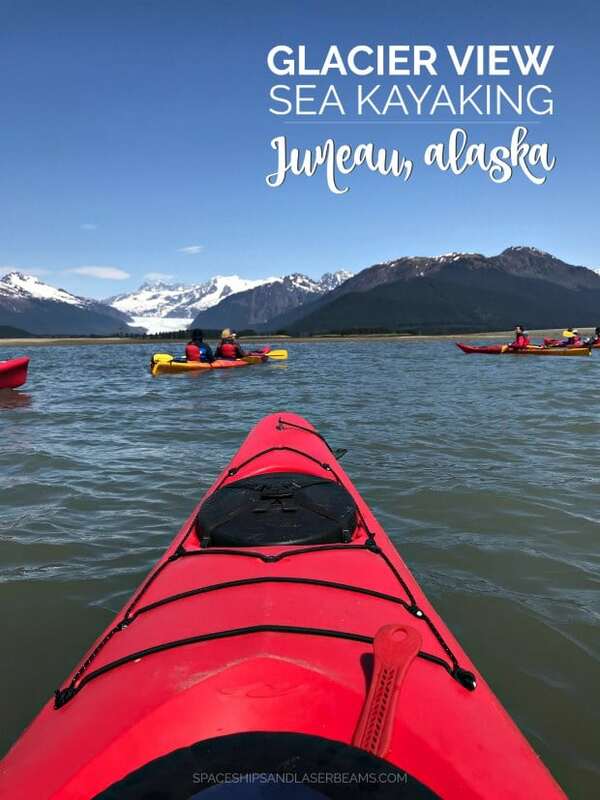 So when we were planning our cruise to Alaska and I found out that one of the excursion options was glacier view sea kayaking, I was beyond thrilled. It’s a very easy outing so even the inexperienced should do just fine! Our half-day excursion began with a guide giving us techniques and gear before we boarded two-person kayaks to start the adventure. Every moment of the outing was breathtaking. I couldn’t get over how awesome the views were. We were able to see Mendenhall Glacier as well as observe wildlife including porpoise, seals, sea lions, eagles and herons. Sometimes, people see whales (we were there too early in the season)! It was amazing to me to think that not very many years ago, Aleut Indians traveled the coastal waterways of Alaska in a similar way to our trip. Our guide helped keep us safe as well as entertaining us with stories about the area. They took great care to make sure everyone felt comfortable. We enjoyed a tasty snack once our journey was done before heading back into Juneau. It was an absolutely incredible experience. I highly recommend it! Now that we’re back home, all I want is some of that yummy food we enjoyed while on our trip. 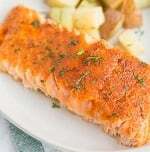 Today’s easy, homemade oven baked salmon is the perfect way to satisfy my hankering. I love being able to prepare a quick, healthy meal on a busy night and this baked salmon delivers. A handful of ingredients, a few minutes to prep and it cooks up beautifully! It’s one of the best ways to enjoy salmon. For this recipe, I used two pounds of salmon. You can adjust according to your families needs. You’ll also need olive oil, fresh dill, brown sugar, celery salt, paprika, black pepper, cayenne, cinnamon, cardamom and clove. You’ll want to preheat your oven to 275 degrees while you start prepping your recipe. While your oven preheats, combine all the spices and brown sugar in a small bowl and mix. Drizzle the olive oil over the salmon, then rub on the brown sugar mixture until the salmon is evenly coated. Sprinkle with fresh dill before baking. You’ll bake this for 16 minutes. 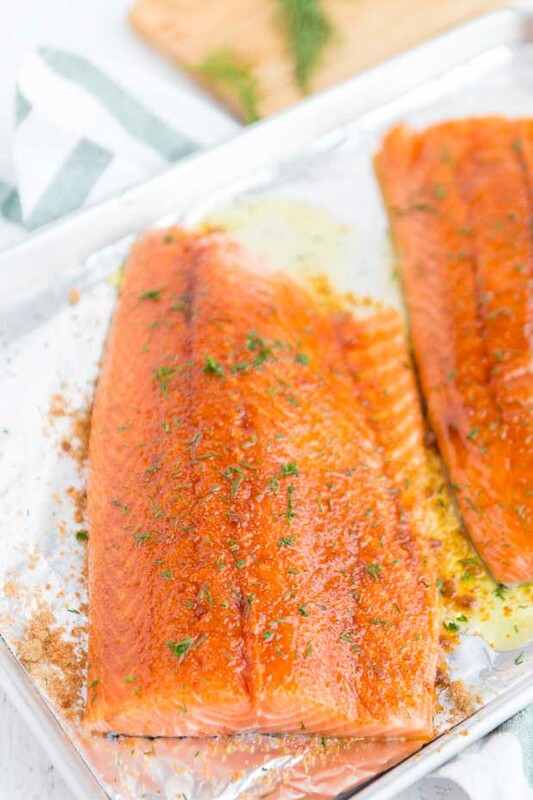 This brown sugar baked salmon took me right back to Alaska and made my taste buds oh-so-happy. Next time, we’ll be talking about our whale watching expedition and I’ll be sharing another yummy Alaska inspired recipe with you! Stay tuned! While the oven is preheating, combine all spices and brown sugar in to a small bowl and mix. Drizzle olive oil over salmon, then rub brown sugar mixture on salmon until evenly coated. This sounds delicious! I had such a blast on the cruise, I want to go back – and yes, the food was amazing!